In his now famous, TEDx video, Simon Sinek states, “There are a few leaders who choose to inspire rather than manipulate, in order to motivate people. Whether individuals or organisations, every single one of these inspiring leaders thinks, acts and communicates exactly the same way. And it’s the complete opposite of the rest of us. 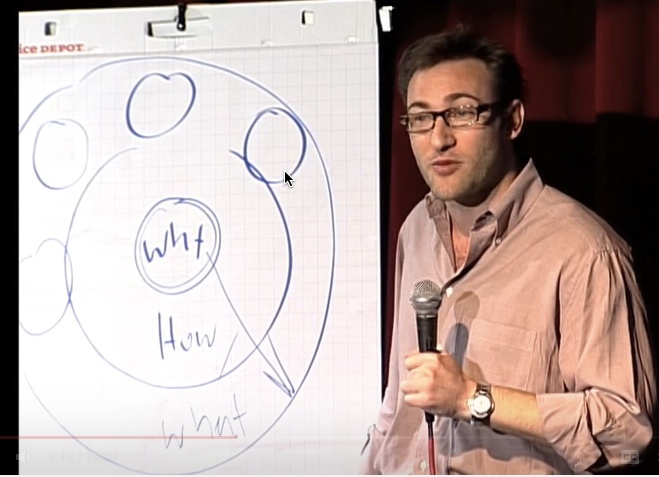 Consciously or not, how they do it is by following a naturally occurring pattern that I call The Golden Circle.” Simon Sinek’s simple Golden Circle theory finds order and predictability in human behaviour. When thinking and communicating about their products average companies ask WHAT, HOW and then they might ask WHY. WHAT: every company on the planet knows what they do. They can describe their product. HOW: most companies know how their product is different or better, what their Unique Selling Point (USP) or value proposition is. WHY: Very few companies know why they do what they do. What is the company’s purpose, and why should anyone care? Most companies communicate from WHAT to WHY. Great companies communicate from WHY to the WHAT. Winnow is a technology company that works with chefs to cut food waste and boost kitchen profits. They, like Apple, don’t start with WHAT they do; rather they start with WHY they do it. Winnow’s belief: that food is too valuable to waste has nothing to do with WHAT they do. WHAT they do – build great software and hardware solutions – isn’t the reason customers buy from Winnow either. The software and hardware are simply a means to an end. Winnow’s belief, that food is too valuable to waste, combined with their purpose to reduce global food waste, gives the company a tangible advantage when it comes to employee happiness and commitment, hiring, fund raising, working with customers and developing business partnerships. Winnow's mission is to connect the kitchen, to help create a movement of chefs, and to inspire others to see that food is too valuable to waste. I sat down with David Jackson, the Business Development Manager for Winnow, to discuss how the company defined their core belief and how the business benefits from a purpose driven mission. What is your perspective on start-up company culture? 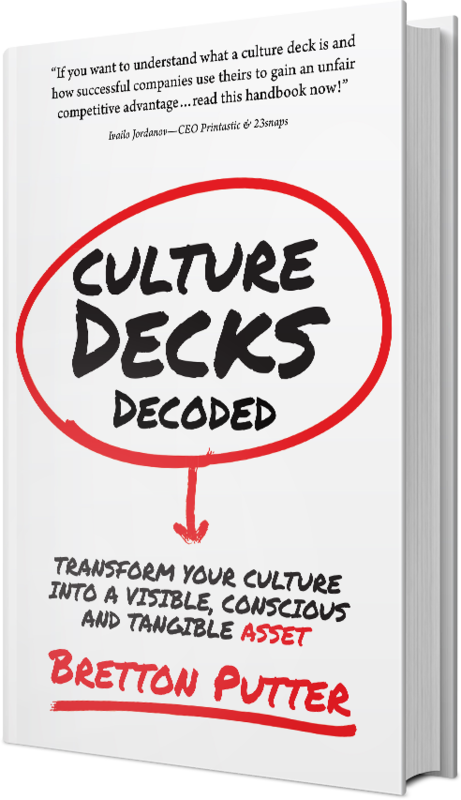 I personally believe that culture is not given enough attention in most companies. Culture is inevitable, it is ‘the way of doing things around here’, and it just happens. You can choose to define it or not, it’s up to you. Defining the culture gives you an extra lever within the business and that’s why I believe that it makes sense to invest the time in surfacing and defining the culture. We are starting to really scale the business and have started to put the foundations for our culture in place - it’s early days and a work in progress. The Winnow team are all extremely passionate about solving the massive global food waste problem. Winnow co-founders Marc Zornes and Kevin Duffy launched Winnow to make a difference and what we are trying to do is make an impact by building a scalable, purpose led business. We partner with and have great respect for chefs, we value their craft and dedication and our aim is twofold - to add value to what they do every day while helping their business reduce waste. Our technology solution cuts food waste in half and boosts kitchen profits. Our customers typically save 3-8 percent on food cost. It’s a simple and intuitive system that’s been designed specifically for busy kitchens. Food waste is thrown away in the usual way into any bin, which is then placed on our smart weighing meter technology. Staff at the restaurant use a simple touchscreen device, which is fully customised to their menu, to quickly identify the type of food thrown away. It literally takes seconds. The menu integration allows the system to automatically record a number of key metrics and our cloud software analyses and records the day’s waste. Staff are then shown, in real-time, the value of each item thrown away, which we have seen drives the behaviour change we are looking for. Daily reports that pinpoint key opportunities to cut waste, benchmark multiple sites and track are also sent to the chef. How did you start the culture discussion at Winnow? I joined the company as employee number four. On my first day Marc, our CEO said “David you’ve got the marketing and communications experience, what do you think we should do about culture?” So I got everyone in the company together for a workshop. We kicked the session off with Simon Synek’s theory “Start with Why”. I used to do this at an agency I worked for previously; the idea is very effective at focusing people’s mind on the organisations core belief, which is important from an external and internal point of view. In our case we believe that food is too valuable to waste, and that technology can transform the way we use food. Our core belief is really simple to communicate and understand and we use this as the opening gambit at the beginning of candidate interviews, in our conversations with the media, with our partners and anyone else we interact with. It communicates that we are here to solve a problem and that we are a purpose and mission led business. How do you utilise your business purpose in the hiring process? Food waste is such a massive problem that if it was a country it would be the third biggest emitter of greenhouse gases behind the US and China. When we recruit we are looking for people who are passionate about solving this global problem. We look for people who think it is important to solve this problem and have the drive to make an impact on the global stage. We dig into and interview against their fundamental motivations and look for genuine enthusiasm and passion around solving this problem. As a team we work really hard and we are looking for people who can knuckle down and deliver. We try to figure out if this person is going to add value and if they are looking to join us for the right reasons. Our recruitment has a self-selecting element to it. There is a certain type of person who wants to work with a start-up and a smaller percentage of that group is specifically motivated by doing something positive for people and the planet. We target those candidates who want to work in a start-up and want to do something to improve the planet. We are fortunate in that when we hire we are generally inundated and oversubscribed with candidate applications. One of the main reasons for this is that we are a purpose driven company. We see that there is a genuine change in the way people view work that there is an increasing demand for meaningful and purposeful work where people can have an impact and make a difference. At Winnow we are in an excellent position to do something inherently positive for people and the planet and in the not too distant future I believe that having a greater purpose will be a prerequisite of all businesses moving forward. There is a lot of talk about purpose in business but the today’s millennial candidate is not fooled. A company’s purpose must be go hand in hand with authenticity. Purpose isn’t just a branding campaign and every business must be able to demonstrate an authentic purpose. It’s certainly easier to attract and keep talent and it also has a significant impact on customer conversations. As a business we understand that we need to create value for our ecosystem of customers, partners, shareholders and employees but we believe that it has to be done with purpose. This is how we engage with the investment community, for example, we seek out investors who share our values and that was how we came to work with Mustard Seed Impact who led our most recent investment round of £2.5m. They, like us, want to have a positive impact on the planet so our visions are very much aligned. The partners and customers we work with also believe in our mission and purpose. Compass Group the global food business actually helped develop the Winnow proposition. AccorHotels who we are also working with have a global target to reduce food waste by 30% by 2020. We enjoy working with partners and customers who want to make an impact. At the end of the day we are all looking for purpose and meaning in our lives and people want to do business with people who share their purpose and their values. The values we have chosen at this stage re Passionate, Collaborative, Innovative, Pragmatic, Honest and Helpful. We are working on refining them and turning this list into something more formal for the company. In 2017 we will look at how we can expand on them to explore what the expected behaviours are for each value and how we can embed them into the business effectively. Passion is one of your values, what do you do to encourage and maintain passion? Passion for food is shared by everyone at Winnow and we build most of our group activity around eating together. It’s really inspiring to hear what other people in our space are doing, so we invite activists like Tristran Stewart to talk at our “Lunch and Learn” sessions about what their organisations are doing and the campaigns that they are running. The Winnow the team all bring food that they have made in to the office to share . At our Christmas party we all went to our CEO’s house, to cook together too. Apart from hiring, what other advantages are there of being a purpose driven start-up? Being a purpose driven start-up business in a space that gets a lot of attention levied at it has had the advantage of attracting a lot of media attention. We have been featured in publications like Bloomberg, the Caterer, on BBC Breakfast and TEDx, we’ve won the Guardian prize of Sustainable Business of the Year and numerous other awards. We have also worked with high profile chefs like Hugh Fearnley Wittingstall who has earned a huge following through his River Cottage TV series and books, as well as campaigns such as Hugh’s Fish Fight. How are things changing at Winnow as the business is expanding? We are planning to be operational in over 25 countries this year and we are learning how to operate the business at international scale. At this stage it’s about building capability and putting a suitable structure in place. We are changing the structure of the weekly team meetings, for example. Instead of simply sharing and updating our individual status we now approach meetings from a collective problem solving perspective. We spend less time updating one another regarding our status and spend more time discussing how we can collaborate better and drive more innovative behaviour. We are developing more processes and structure, for example we have created an induction process for new joiners. I have a session with each new team member setting out our expectations for him or her. I discuss the history of the company, our purpose and values, and where we are heading. We’ve also created a staff handbook, which gives more details on our business culture, purpose and values.